It's built now, it's there. Although I think it would make sense for the developers to look what they can do with the building finish simply because it's currently embarrassing to include in their portfolio. Sure you will always have ideal lighting and a bit of creative license in renders, but that is just taking the mickey. As has been said though, the developers built what their application said they were going to, if you want the building demolished exactly who do you propose pays for it? I am not proposing to demolish it at all. I just want look and feel changed. By looking at graphic pic, its looks OK, but actual building is just horrible. I think your 101% correct to say that we need stricter guidelines on renders. Love it, or hate it. It's built, get over it. if we get over it, they will keep building these kind of crap everywhere in CBD for higher profit. Neighbouring building built by Greaton spend around 300 million for same level of floors while Atira spend 35 millon or something. Kudo also spend around 100 million. This kind of building causes damage to great sky views that people are looking for. Dude, it might be worth accepting that what constitutes a good looking building is very subjective. Just because you think the building looks 'crap' it does not mean that the rest of the population thinks so too - even if it did then it would not necessarily constitute a valid reason to demolish or alter the building. As mentioned before, I would take everything the Advertiser says with a very big dose of skepticism as they have a long and illustrious history of bashing anything resembling progress in Adelaide, whipping up hysteria wherever possible and pandering to their (thankfully) dwindling core readership which consists largely of serial moaners and armchair critics who haven't set foot in the City for 20-odd years. If you don't like this building, fine. That's a perfectly acceptable personal viewpoint for you to hold. As per the suggestions above perhaps a better way for you to focus your obvious passion about new buildings in Adelaide would be to get involved in the consultation phase of other proposed buildings in the City. 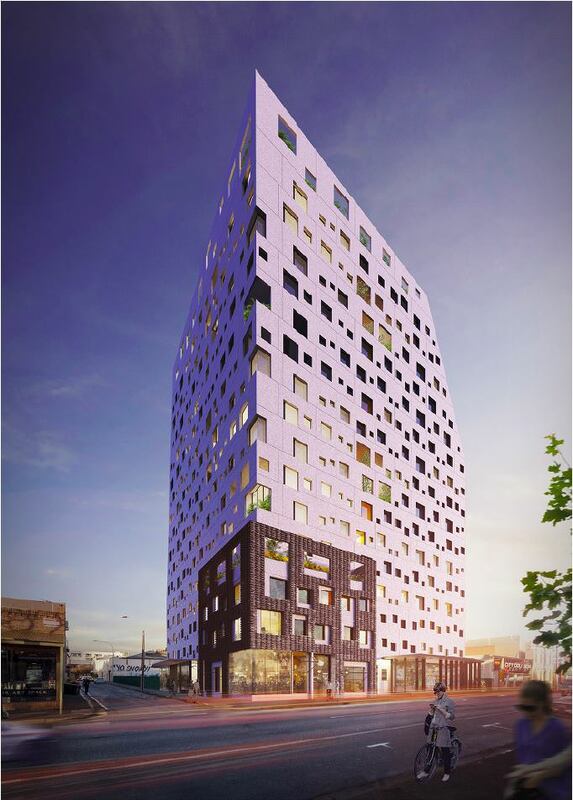 This is a pro-development forum comprising members who hold a wide range of views about the aesthetic qualities of the various new buildings either proposed or constructed in Adelaide and South Australia. Regardless of their personal views on the outcome of a particular new development I have never been aware of any member of the forum advocating for a building's demolition or radical alteration post-construction. Most likely that's because the forum members accept their views are personal and are unlikely to reflect that of the population as a whole. I think you're barking up the wrong tree trying to spruik your petition here. The building has been fully approved and built as per the proposal submitted. There is zero chance of this building being demolished or altered. I also note your petition is directed, for some reason, to Nick Xenophon. I would suggest he is possibly less trustworthy, reliable and likely to be able to help you than the Advertiser is, which is really saying something. Last edited by Llessur2002 on Mon Mar 05, 2018 1:14 pm, edited 1 time in total. It might also be of comfort to know this building is surrounded by development sites which means its dominance on that part of the skyline is short lived. West Franklin will block this out from a large area with further upcoming developments to further block it out. The fact that it's surrounded by development sites makes me think Morty himself has an interest in one of those developments. I understand that good looking is subjective. but I do not know any other building in CBD causes this much criticism. I am also not looking to demolish the building. Just want to change the look and feel to more polished. Actually my petition is directed to City Council. Also thought to include Nick as he could put some pressure on current gov. I know my petion will probably archive nothing with this building but this will at least get people thinking before approving these sort of building. To be fair to the people who approve this building, in their graphic design, building looks acceptable but in reality its horrible. Your correct. I was thinking to buy apartment from West Franklin with airport view. Now I gave up. You guys are bullying this guy on the Internet, because he dares try and make a difference for something he feels strongly about. At least he isn't sitting on an Internet forum acting like an expert, bitching and moaning about things he feels strongly about instead of trying to make a difference.